Jade’s kicks have the power of punches. Which actually isn’t all that great. A believer in the power of meditation, Jade mentally prepares herself for Chat Fu battles by playing the “Telephone Game” alone. 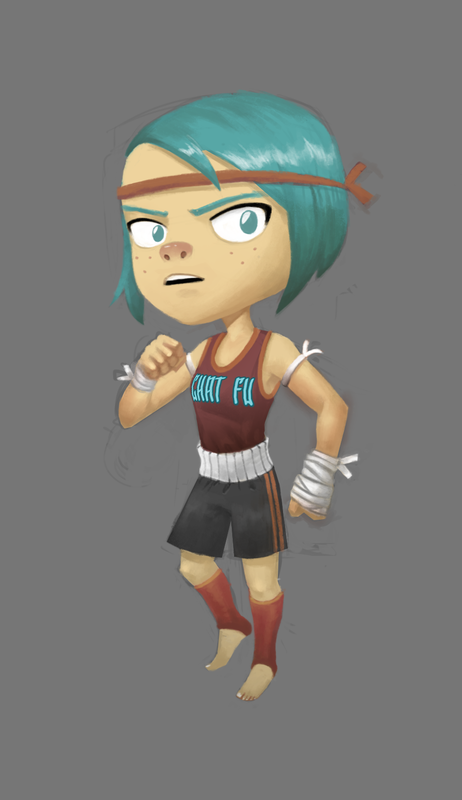 She’s the only fighter in her training dojo to successfully backflip whilst texting – but don’t try that at home, kids. Chat Fu’s roster of ninjas have done some things they aren’t too proud of in this alley. Like dumpster-diving! And spelling “derelict” wrong. Fun fact: see that garage door at the end of the alley? It is – officially – the most useless parking spot in the world. Can’t even get a coupé back there. 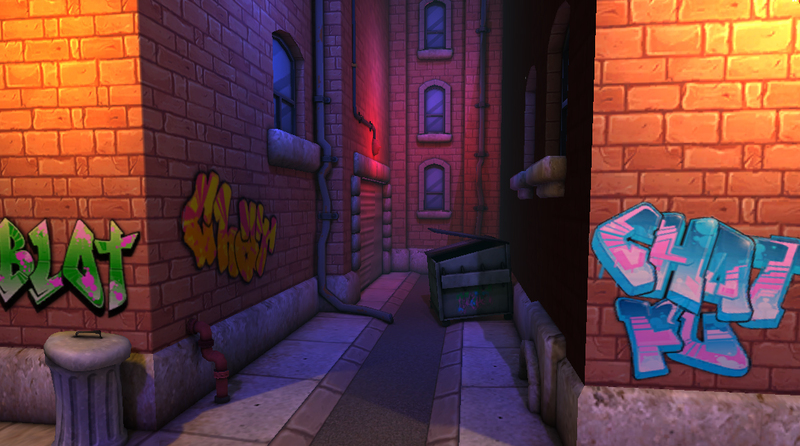 As well as being one of the stages where you can fight other ninjas in Chat Fu, the Alley is where ninjas practice spelling new words using spray paint. It’s not illegal graffiti if it’s educational, right? C. Fu’s finishing move is the most feared combo in the Chat Fu arena. He might look old, and smell a bit funny, and forget what he’s saying mid-sentence, but… where was I? Oh yes – C. Fu’s finisher is gut-wrenching. Speaking of guts, want to know a secret? Every time C. Fu performs a backflip, he soils himself a little. Fu Friday: It’s a Trap! 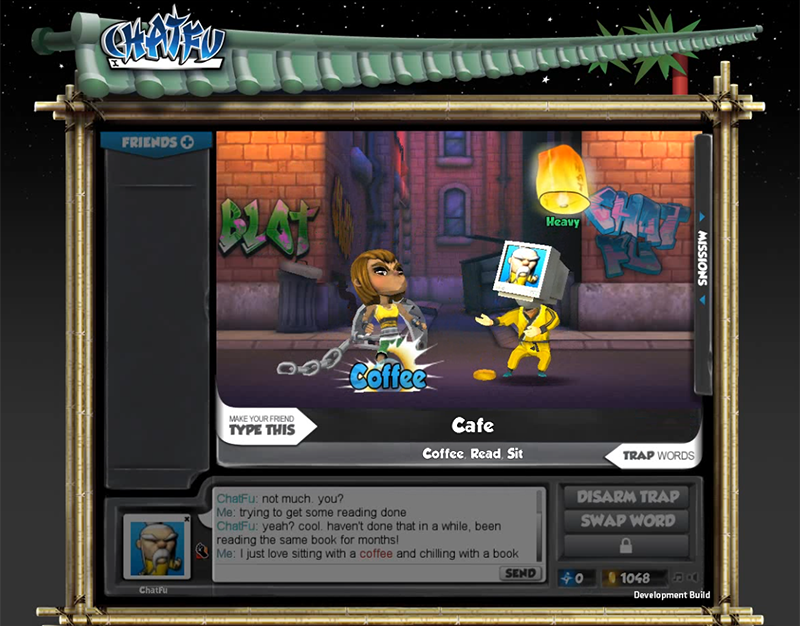 In Chat Fu, it’s your mission to destroy your Facebook friends by tricking them into saying certain words in chat conversations. Such is the path of the warrior. Your enemies have but one defense: Trap words. Here’s how Trap words work: let’s say Teresa is trying to get her friend Bonnie to say “Bambi” – but her trap words are “Disney”, “Deer”, and “Forest” – so Teresa can’t use those words in that conversation. If Teresa gets defeated by a Trap word, she loses her own fight! That’s as dishonorable as being beaten by your cat in a staring contest. The best way to avoid being caught by Trap words is to disarm them using Ninja Stars – you can also use a special upgrade to help you! Sue Doku once watched the The Next Karate Kid 12 times in a row, and thought she was Hilary Swank for an entire week. She’s a Grammar Master and rose to the top of her class in the Shinobi Spelling Bee. If you’re one of those people who confuse “there,” their,” and “they’re,” she will completely flip out on you. Adrian! Adrienne! How do you spell that name? Rocky might know how to fight, but we’re guessing his word skills couldn’t match up to Chat Fu’s elite literary ninjas in the Ring. Just try not to get stage fright. GIF Fu: Yorick the Skeleton’s Finishing Combo! Yorick’s finishing combo is even more impressive when you remember he doesn’t have a single muscle on his body. 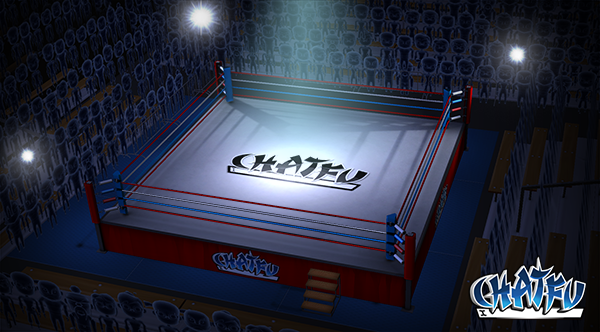 This body breaking move is guaranteed to put any opponent in tears of agony. Except for that time when Yorick’s hand got caught in his pelvis halfway through the combo. It was pretty embarrassing for everyone involved. 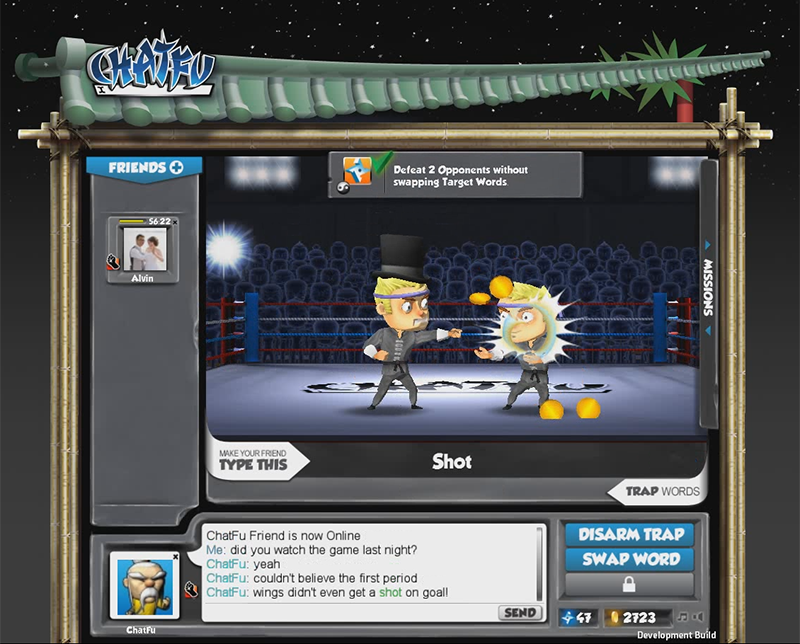 Chat Fu challenges players to make their friends type certain words, in an intense battle of wits that often results in screams of agony. Grab the coins that fall out of your friend’s body when you win! Confucius says: Never seek illicit wealth. We say: it’s not illicit if you steal a giant gold coin that your friend dropped after you punched them in the gut; it’s fair game. 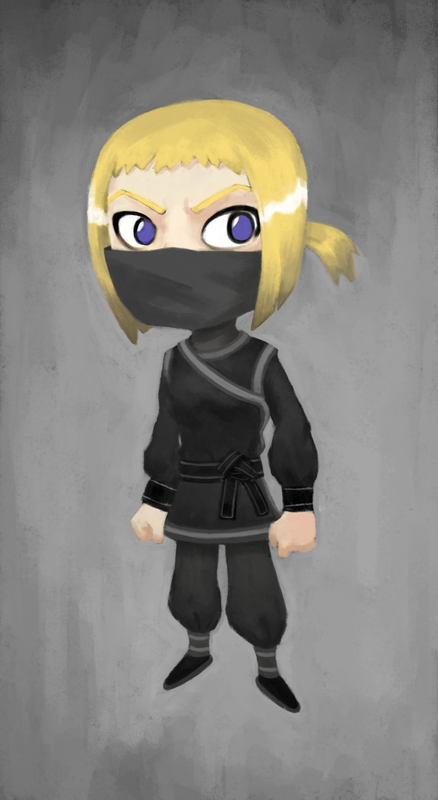 New character concept art, courtesy of our art wizards at Blot! 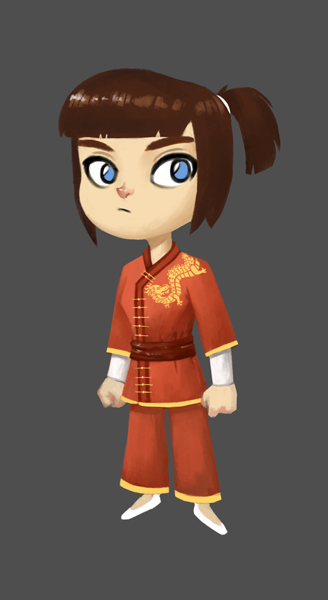 This week, meet Whoosh the Wushu Pro. Whoosh gets really self-conscious about how much she grunts during Chat Fu battles. It’s just her way of exhaling, okay? Read a book and get over it. Wushu is a physically demanding martial art competition that takes place in arenas – and Whoosh loves her time in the spotlight. Rigorous, non-stop training and wordplay await any student who enters these halls. Except on Wednesdays. That’s Comedy Night. 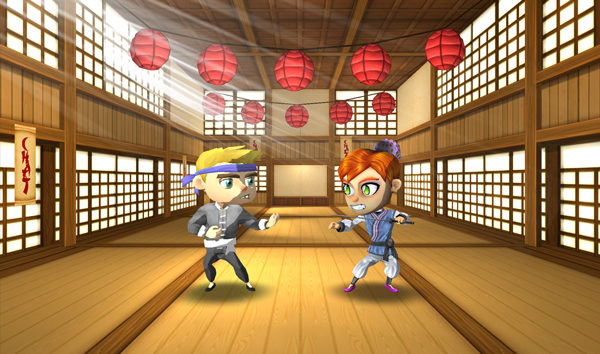 The Dojo is the headquarters for Chat Fu ninjas – so get your head in the zone and words at the ready!